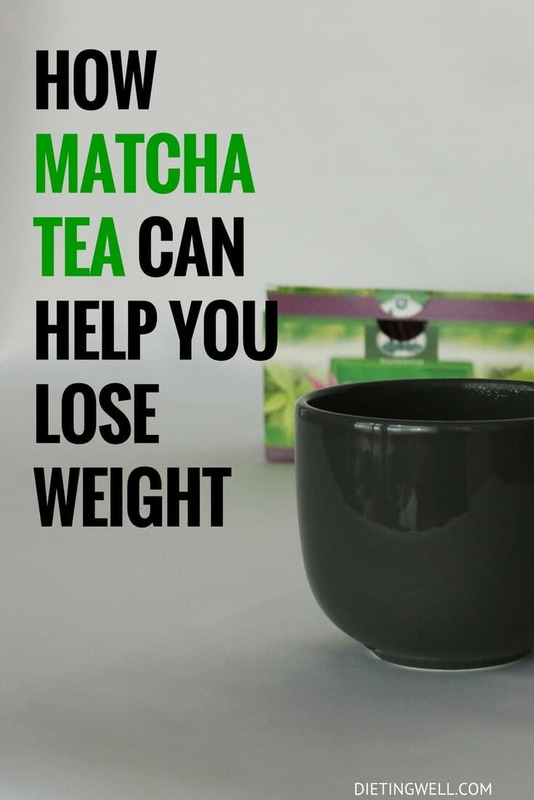 People are always looking for the “next best thing” for health and weight loss, but it may be as simple as drinking matcha tea. This traditional Japanese tea has been around for centuries and is much more potent in its health benefits than regular green tea. Matcha is a finely ground tea with a wide range of health benefits. It not only helps people lose weight, but also promotes overall wellbeing. Matcha is a premium-grade tea that is protected from sunlight before it is harvested, so it produces very high levels of powerful antioxidants. Used as an aid to help burn fat and even fight chronic diseases, matcha leaves the benefits of other teas to be seemingly minimal. Numerous studies published in the National Institute of Health have shown that matcha naturally contains chemical compounds that fight cancerous cells. They do this by both inducing cancer cell death as well as stopping their growth. In addition to fighting cancerous cells, matcha helps fight free radicals and encourages the detoxification of your body. It has health benefits for the entire body aside from the weight loss that people are searching for. Matcha is green tea in the form of a concentrated powder. It is derived from the leaves of an evergreen shrub in the Theaceae family called Camellia sinensis. While all teas come from this plant, the different processes of the leaves result in various colors and tastes. After the plants are shaded to increase chlorophyll levels, the leaves are picked are steamed. They are then dried and ground into a fine powder, creating matcha. Matcha powder is very green in color and has a very fine texture. When green tea is consumed, the leaves are infused into hot water before being thrown away. Alternatively, with matcha, you consume the ground tea leaves, giving the full benefits of the green tea. Ingesting the leaves makes matcha a more potent source of nutrition than green tea that has been steeped. People usually only consume about 15% of the nutrients of steeped tea, depending on the variety of tea and how it was prepared. However, drinking matcha powder provides you with 100% of the nutrients that the tea has to offer. Matcha is considered to have super strength due to its contents of polyphenol compounds called catechins. Green tea is known for being especially catechin-dense, providing super standard health benefits for those who drink it on a regular basis. Matcha is a concentrated powdered form of green tea, which increases the health benefits. People associate green tea with weight loss due to its contents of catechins. Catechins are a kind of flavonoid that are present specific fruits, teas, wines, and chocolate. Catechins have a wide range of health benefits, from the reduction of the risk of cancer to the maintenance of cardiovascular health. Weight loss is also a well-desired outcome for consuming this type of superfood. Matcha has also been shown to reverse the damage that has been done to cells caused by oxidative stress. Oxidative stress refers to the imbalance of antioxidants and free radicals in the body. This imbalance results in the destruction of cells and the prevention of their repair. Matcha is potent with chlorophyll, giving it its green color. Chlorophyll is responsible for absorbing light during photosynthesis, which in turn creates energy. Because matcha is grown in the shade, it is much richer in chlorophyll than other teas. Chlorophyll also helps to detoxify the body and helps in the elimination of chemicals and heavy metals. It increases the blood’s ability to distribute oxygen and nutrients throughout the body, helping the body regenerate its cells. Epigallocatechin gallate is the catechin that is in matcha that is responsible for enhanced weight loss. When you drink matcha, you are able to reap all of the benefits of green tea in a concentrated form, which amplifies the health benefits. Science has proven the weight loss benefits of matcha. According to a study published in the American Journal of Clinical Nutrition, those who consume teas with a higher density of catechins than other teas, end up losing weight in several ways. Thirty-five healthy Japanese men who shared a similar body type and fat content were separated into two groups. One group drank tea with 690 milligrams of catechins and the other drank tea with 22 milligrams of catechins. After three months, researchers observed that the subjects’ BMI, body fat mass, body weight, waist circumference, and subcutaneous fat area were all much lower in the subjects who drank the higher concentration of catechins. What was even more amazing was the lower levels of LDL cholesterol in the subjects, due to the large decreases in overall body fat. These results ensured researchers that drinking 690 milligrams of catechins for three months reduced body fat and could help in the prevention of obesity. Furthermore, a study published in the American Journal of Clinical Nutrition demonstrated that matcha has thermogenic properties that promote the oxidation of fat beyond its caffeine content. Matcha was shown to increase the body’s ability to burn calories from about 10% to around 40% of its daily energy expenditure. Matcha has also shown that in can increase one’s exercise performance, therefore further aiding in weight loss. Matcha may help to speed up an athlete’s recovery whose focus is on high-intensity interval training. Research published in Basic and Clinical Pharmacology and Toxicology studied the possible effects that Epigallocatechin Gallate (EGCG), an active catechin in matcha, had on mice suffering from chronic fatigue syndrome. For two weeks, the mice were required to swim for six minutes every day. 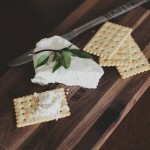 Following the intense activity regimen for the mice, researchers found that they had significant increases in their levels of oxidative stress and cell death. However, after administering continuous dosages of EGCG, researchers found the oxidative stress and the cell death to be reversed. This study suggests that drinking matcha when participating in athletic activities can help to restore muscles faster and help decrease the amount of stress that is put on the body. This aids in weight loss by encouraging people to exercise longer and more frequently. Studies have shown that exercising immediately after consuming matcha resulted in a 25% increase in fat burning throughout the workout. A great way to use matcha is in a post-workout meal. These matcha green tea pancakes give a large dose of antioxidants with a fun color. They also provide the body with extra protein with both brown rice flour as well as hemp protein powder. Belly fat, which is also referred to as visceral fat, has a tendency to pump free fatty acids and inflammatory substances into your bloodstream. These substances, in turn, make their way to the pancreas, liver, and other organs. In doing so, they not only encourage plaque accumulation inside of the artery walls, but they also make cells resistant to insulin. Over time, people with arterial plaque are not only prone to more diseases such as high blood pressure and diabetes, they are also prone to high blood sugar which results in weight gain. People with belly fat are not only subject to obesity, but also heart and other chronic diseases. Matcha helps decrease belly fat because it is the least processed form of tea with the most polyphenols. The polyphenols that matcha contains have the ability to burn fat. Matcha will also prevent weight gain, no matter how much is consumed, because it has no calories. Drinking matcha green tea plain will help fight hunger and boost metabolism. WebMD names matcha one of the top 27 foods to consume to burn belly fat. Matcha contains a high level of dietary fiber that is easily absorbed by the body. Dietary fiber aids in weight loss by easing constipation and stabilizing blood sugar levels. It helps the body feel full without the addition of extra calories to the diet. Fiber fills up the stomach, which activates receptors that tell your brain that you are full. The energy that matcha provides can help in weight loss as well. Studies have shown that drinking one cup of matcha is able to provide a more effective and longer-lasting energy boost than an equal amount of coffee. The flavonoids in matcha promote a focused calm that does not result in a crash. The caffeine found in matcha is also uniquely different than the caffeine in other drinks because it contains the amino acid L-Theanine. L-Theanine works together with the caffeine that is in matcha to provide a gradual, consistent energy release. While coffee and sodas provide a fast up and down with caffeine crash, the caffeine in matcha creates bonds with nutrients in the body so it enters the system in a time-released manner. In coffee, the caffeine has an acid effect that impacts the adrenal glands, causing peaks and valleys in the body’s levels of adrenaline glucose and insulin. This results in jitters, hunger, sleeplessness, and nervousness. Matcha provides a steady level of energy for up to 6 hours, rather than a short burst of energy. This aids in weight loss because your body does not become fatigued and therefore require sedentary rest throughout the day. Matcha’s caffeine does not alter the adrenal glands in any way, and it works to regulate both insulin and glucose levels. This makes it ideal not only for those who are trying to lose weight but also for people who suffer from diabetes. Matcha can be found in local grocery stores, coffee shops, and online. However, it is a common mistake to buy ineffective products that use the word “matcha”. Make sure the matcha powder you buy is pure, rather than a product whose first ingredient is sugar. If you want to try matcha, then there is a good selection on Amazon with tons of customer reviews. It is common to find both sugar and powdered milk in products that call themselves “matcha powders” due to their ability to improve the taste. Instead, you want to find a matcha powder whose only ingredient is matcha. Try to find organic and non-GMO products when available as well. You can use certain varieties of matcha for making a normal cup of tea, while higher grade matcha can be used for more upscale beverages. People often enjoy adding matcha powder to their baking recipes. While you can find matcha in the form of tea bags, drinking it in that way will not give the full benefits, as you are not consuming the entire leaf. The purity and quality of matcha comes at a cost due to its wide range of health benefits, but a poor quality product will likely not give you the results you are hoping for. Inexpensive matcha products, especially ones from China, have been found in the past to contain dangerous pesticides. A study done by Greenpeace on green teas that have been exported from China showed 12 of their 18 randomly picked green tea samples contained pesticides that are banned. Unlike Chinese matcha, Japanese matcha is governed with standards regarding the use of pesticides. This is one reason that Japanese matcha powders are typically pricier than Chinese products. Typically, an ounce of Japanese matcha costs about $30, while the Chinese version can cost as little as $7 for one ounce. To drink matcha for weight loss, mix about a teaspoon of the powder with one-third cup of hot water. Whisk the liquid until it begins to froth. If you would like to add a bit of extra taste to your matcha, you can substitute coconut milk or another flavored milk in place of the water. Add a touch of raw honey for some sweetness. Although there are many foods that are naturally rich in antioxidants, matcha is one of the most potent when it comes to levels of catechins. This results in helping workout recovery, burning fat, fighting disease, and encouraging cellular strength. I stayed in Japan for a few months and was usually only offered green tea or matcha. My skin was the clearest it’s ever been when I was there. Have not found any good quality matcha for a long time until the other day. Had some earlier with some cashew milk and remembered how much I loved it. Going to make a cup now! I drink 5 scoops a day of Steeped tea’s Matcha, I love the flavors. How much matcha green tea do u drink a day.? I’ve seen a significant difference in my overall health after drinking ceremonial matcha for one month, also my skin even looks more vibrant! At 43 this is an A+ in my book! I’ve been adding just a splash (very little) organic almond vanilla soy free milk. Is that taking away any benefit of the matcha? I also use organic raw honey. Taste is delicious! I drink the matcha in a cold protein shake, skimmed milk or unsweetened almond milk, 1 heap teaspoon matcha, 1 scoop protein powder, shake 10-20 sec, poor. The body digests the matcha just like normal food and so the goodness is absorbed, the only difference is brewing, helps release it faster.adding honey or soy milk does not disadvantage the matcha tea powder.